This year’s yearbooks will be distributed to seniors after the Senior Awards Assembly on Thursday, June 11th. A new feature in this year’s yearbook is a collage of Replay submitted photos in the back of the yearbook. The cover of the book is a surprise. The theme is We Are Morgan! The yearbook committee has to use a “fine tooth comb” to make certain that there are no errors. The worst mistake is when someone’s name is misspelled. The editor this year is senior Brain Gendron. Brian along with junior Sami Ashton and senior Carly Robertson were dedicated to making this yearbook special for the graduating seniors. Any senior who has not paid for their yearbook may purchase one after the awards assembly. The price of the yearbook has increased to $90. Especially this year there is only a limited number of yearbooks. Yearbooks are available on a first come, first serve basis. 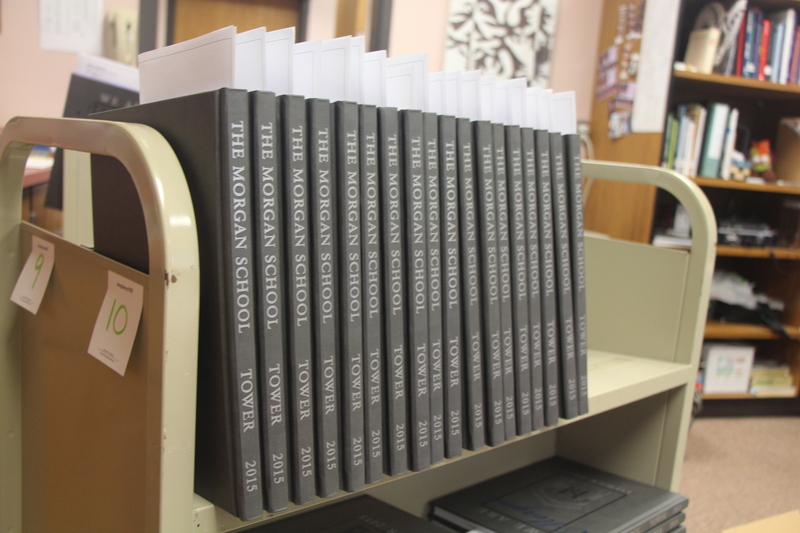 for the next year’s yearbook, the last yearbook before Morgan students move to the new building. If anyone has any suggestion please visit Mrs. Robinson.